We’ve Got Backyard Landscaping Ideas! 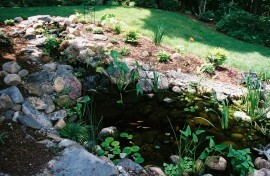 Pro Tips: You Want To Install a Pond or Water Feature? Some helpful tips from American Aquascapes for people who want to install a pond, pondless waterfall or other water feature. Copyright © 2013 American Aquascapes. All Rights Reserved.